Bought your new video/photo drone? Check! Run the flight simulator program or practiced with some toy quads? Check! Watched some of the online Videos relating to your model? Check! Made your maiden flights at a large open field (school or similar field) to test the setup? Check! Now it’s time to find some more varied places to fly your quadcopter and take some stunning still pictures and videos. Don’t be tempted to use your front and back yards and local neighborhood as regular flying grounds they probably aren’t that interesting and you’ll be quite embarrassed if you need to retrieve your new machine from the neighbor’s pool. Worse yet, you could damage cars, property or injure people. Study local maps carefully ideally on Google, Bing or Apple Maps Satellite view. Once you become familiar with your locale, locate large open (usually green) areas. During a recent trip to Florida, I noticed that a large fairgrounds was just a few blocks away. This area provided a great view of the city and surrounding area and was very safe for flying. I founds some large abandoned areas near some railroad tracks which provided an amazing view of a local park as well as the center of town. Do you or your friends know the owners of the local golf course? How about those who may own a local pick-your-own farm or orchard? These are often beautiful properties with great views of the local area. You can offer them some free photos and video in return for permission to fly. Real Estate which is for sale can also provide flying grounds. In our area there is one particular Realtor that lists many of the properties in a semi-rural area. An offer to give them some photos could easily be swapped for permission to do some drone flying on these private properties. The same goes for some larger Farm Markets or Nurseries they may desire to have aerial views. You may even get some free plants or fruits and veggies from the deal. 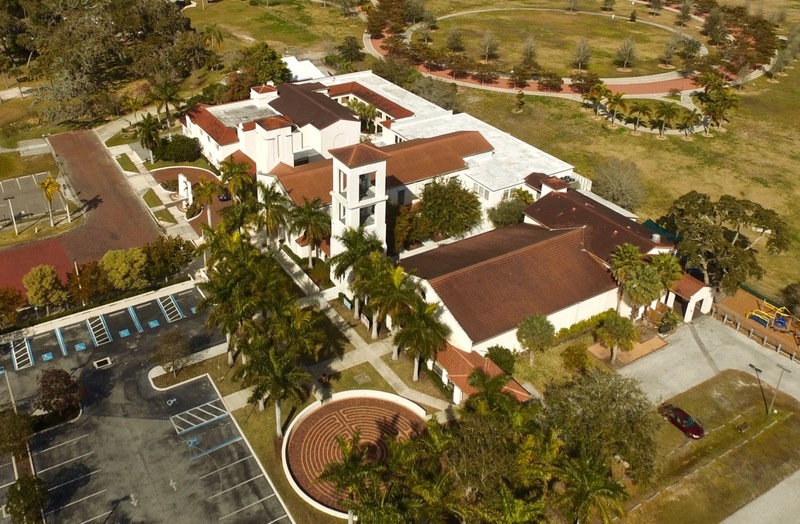 Many school properties are vacant or very lightly used on weekends and can be a safe place to take your aerial photographs. Some towns and counties have “Conservation Land” which are properties that allow public access for activities like hunting, hiking, etc. As with any other flying grounds you’ll want to check them out first and make certain your activities won’t disturb others. Some parks are off-limits to R/C (radio controlled) aircraft. However, those who make the rules can bend them. If you contact the local Parks and Recreation department they may have interest in nice views of their facilities. All youd need is an email from them stating that you are allowed to fly in the particular park. I contacted the admin of a local botanical park and offered to take video and photos on their 10 acre grounds. I noticed a nice shot of a local church in some of my pics, so I sent a copy along to the church (found their web site) and also offered to shoot some other pics for them. They really liked the pic and invited me to take pics and video on their property anytime. From that flying location I can photograph the local skyline, some parks and even the coastline and bay. I placed an ad on Craigslist in the photo section offering free services. One respondent wanted some pictures of their lot on a barrier island here is a picture taken on that foray. Many areas have Land Trusts which function to preserve valuable farmland, wilderness and other open areas. I shared some of my photos and videos with one such ground locally and now have volunteered to help them on an informal basis. They will assign me a couple places to photograph and arrange, if needed, with the farmer or land owners in question. Here is a sample video I produced for the Aquidneck Land Trust (RI, USA). Be creative and you can likely find plenty of safe, fun and beautiful places to fly. As a bonus you will also likely have a wider audience for your photos and videos, as these organizations will often post your work on their web site. Its easy to get pilots block and think that there is nowhere decent to fly or photograph. Yet as you can see in the examples above, the possibilities are almost endless. Keep this list handy and refer back to it when you run out of ideas! Abandoned Properties (not posted) such as old RR Tracks, etc. Land Trust properties, Botanical Parks and similar facilities. Historic Properties (with permission trade for photos and videos). Private Properties with Permission Real Estate for Sale, Farm Markets, Nurseries, Horse Farms, etc. Large Church or Monastery Properties (with permission). Municipal Parks (with permission if they are marked as not allowing R/C). Golf Courses (with permission at off-hours). Craigslist and other ads for free Private Property photos. Phantom Info – http://www.phantominfo.com – Information for DJI Phantom models all in one place. Drone Saving and Deals – http://www.dronesavings.com – the best deals on drones from $5 to $5,000. New deals posted daily!